The braking system in your vehicle is a critical part of keeping your family safe, and the professionals at Honest-1 Auto Care Gresham can provide the maintenance that it needs. Our technicians have the resources and the training to deal with a wide range of automotive brake repair problems. You can visit our shop in Gresham, OR, and expect to receive an honest answer regarding what might be wrong with your car. Our technicians deal with both foreign and domestic models of vehicles. You can turn to us for work on your car whether it’s a Lexus, BMW, Acura, or Range Rover. We also handle repairs on autos from Volkswagen and Pontiac to Mercedes, and we even work on Minis. The technicians at Honest-1 Auto Care Gresham can handle everything from replacing worn brake pads to dealing with serious malfunctions. Our garage in Gresham offers same-day service on most projects, and we provide free local pickup and delivery. 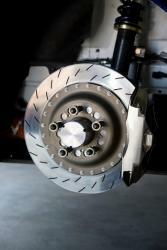 If you need to take your car to an automotive brake repair professional, call us today to schedule an appointment.